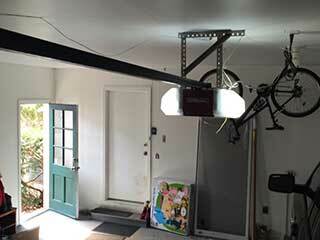 It can be irritating, dangerous and expensive to deal with garage door breakdowns and serious malfunctions. In order to help you avoid these problems, our technicians offer a range of maintenance services,designed to help you keep your system in good shape. We can help you save money in the long run and prevent further problems from happening in the future. Garage door openers require safety checks and tests to ensure that everything is working properly. Our technicians will check for safety sensor alignment and perform testing on your unit’s photo-electric eyes to ensure they're working properly. We will also perform testing on the auto-reverse function to ensure that your door will automatically open back up again if there is an obstacle in the way. Due to their constant hard work, your springs and cables can experience wear and tear over time. These parts need to be regularly inspected to prevent them from breaking or snapping. Our technicians will replace the required parts, and provide lubrication as necessary to ensure the smooth and silent operation of your door. Your garage door is designed to move up and down smoothly with the help of the rollers moving up and down inside the tracks. But when the tracks become bent, this can cause some the rollers to come out or become damaged, potentially causing your door to get jammed as it moves. Our technicians can fix any bents or dents, and properly lubricate the rollers to limit the risk that your door goes off track in the future. If you want to maintain your system and keep the various components in good condition, in addition to preventing problems from happening In the future,don’t hesitate to contact our team of experts at Garage Door Repair Prior Lake. We'll be glad to hear from you!